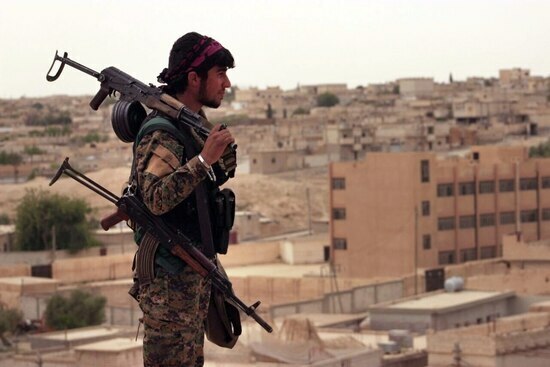 WASHINGTON — Kurdish militants released footage of its forces striking Turkish-backed rebels with heavy weapons in northern Syria. 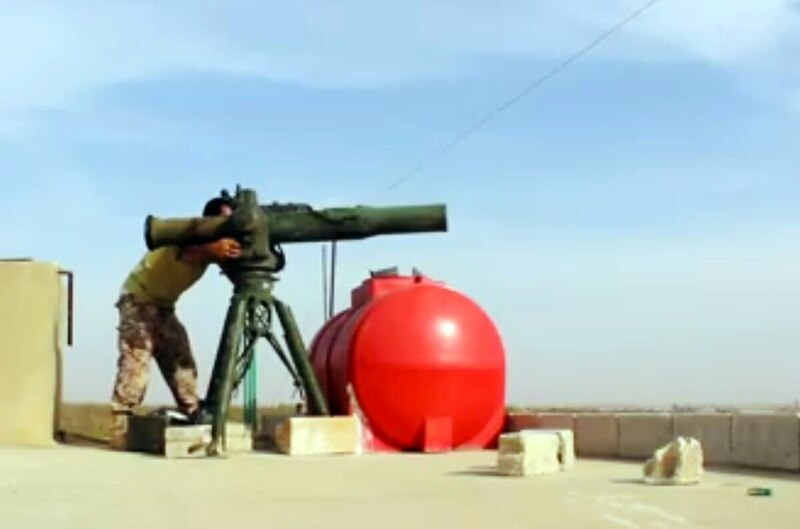 The footage, posted on the group’s official website, includes the People’s Protection Units, or YPG, firing an anti-tank guided missile system, or ATGM, at a Free Syrian Army tank near the city of Azaz, Syria. The YPG are part of the U.S.-backed Syrian Democratic Forces (SDF). Those forces are currently in their third month to liberate ISIS’ self proclaimed capital of Raqqa. However, officials at Operation Inherent Resolve say they do not support the Kurds in the northwest part of Afrin.” We support the SDF fighting ISIS in and around Raqqa,” the official said. Azaz is located 20 miles north of Aleppo and has been the scene of cross-border skirmishes between Turkey and Kurdish militants. Other footage shows YPG fighters firing BM-21 Grad rockets at Turkish backed proxies in northern Syria. The BM-21 is a Soviet truck mounted system that carries 122 mm rockets. These systems have been littered across the battlefield since the Syrian state has descended into chaos over the last six years. Such displays of heavy firepower have not been common on the official YPG website. Most of the videos posted to the group’s official press page generally depict the organization’s fight against ISIS, humanitarian assistance to fleeing refugees and captured weapons caches. Tensions between Turkey and the YPG have been on edge the last couple months since Ankara began a steady buildup of military forces in northern Syria outside of Kurdish controlled Afrin district, leading many Kurdish activists to believe the district was under threat of invasion. “The YPG has used ATGM diplomacy during times of crisis with Turkey, but I'm not sure if this is a coincidence or some effort at signalling,” said Aaron Stein, a senior fellow at the Atlantic Council. The presence ATGM missile systems with Kurdish fighters is highly controversial in Syria, especially since the White House approved the arming of the Kurdish militants back in May. The presence of the ATGM system in Kurdish hands is a direct threat to Turkey, especially if it has them in significant quantities, according to Stein. “Turkish operations in Al Bab were far from impressive and IS was able to use ATGM to great effect,” Stein said. “I would assume that the YPG would be able to do the same, particularly if Turkey under resources its military operation again, presumably over fears of taking too many casualties,” he added. The video posted to the YPG’s media site shows what appears to be a Russian 9M113 Konkurs system, just one of many types of ATGM systems floating around Syria’s desolate battlefield. The BM-21 strike earlier last week by YPG forces also caused a stir on social media with Turkish activists questioning who was supplying the systems to the Kurdish group, despite the fact that these systems are all over Syria. Last week, the U.S. Embassy in Ankara was forced to release a statement about false and misleading reports about U.S. aid to the Kurdish fighters. “Inaccurate reports by several outlets over the past few days have erroneously claimed that the Unites States has sent ‘tanks’ and ’hundreds of truckloads of weapons’ into Syria to support the YPG,” the statement reads. 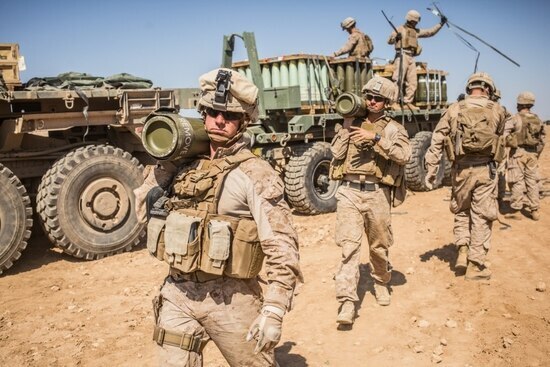 When reached for comment about the U.S. supplying ATGM systems to Kurdish fighters, officials at Operation Inherent Resolve provided Military Times with a vague statement that neither confirms or denies U.S. supplies of TOW or ATGM to the Kurdish fighters. Officials at OIR have confirmed supplies of Guardian armored trucks, up-armored Humvees, and armored dozers to the U.S.-backed fighters. 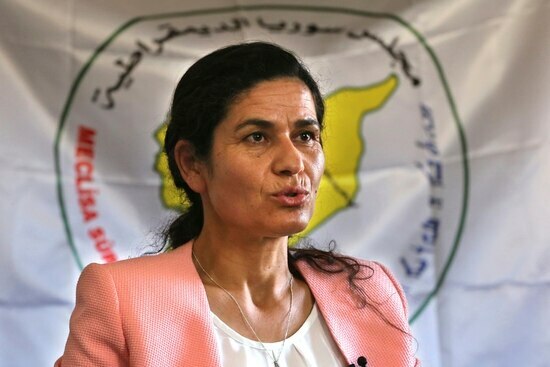 According to Shervan Derwish, the commander of the Manbij Military Council, either way the group has access to the TOW or ATGM weapons system and indeed has been fighting the Free Syrian Army with them. It is all about having the money to purchase them, he told Military Times.